The most widely watched ranking of U.S. law schools may move to stop an increasingly popular practice: schools gaming the system by channeling lower-scoring applicants into part-time programs that don't count in the rankings. The Daily Transcript and Association of Corporate Counsel - San Diego Chapter are pleased to recognize and honor San Diego's top corporate counsel. Selected by an independent judging panel, these attorneys exemplify leadership, dedication and achievement, community involvement and commitment to diversity in the profession. NEW ORLEANS -- Herreast Harrison wanted to rebuild after Katrina and thought she did everything right: She hired a contractor who seemed kind and listened to Christian music on the job. Months later, she claimed, he pocketed $57,000 and walked off with work undone, leaving a mess behind. NEW ORLEANS -- Initially, the court victories came easily. On the stand, telling their tales of battling to get their insurance claims paid, the homeowners almost always won, often with bad-faith penalties. There is no more difficult legal case for a company and its managers than an employment-related matter. Unlike a breach of contract action or other common business dispute, employment cases are intensely personal and often involve complicated workplace situations and interpersonal dynamics, misinterpreted meetings, memos and performance evaluations as well as intense manager-subordinate power struggles that can lead to some serious drama. 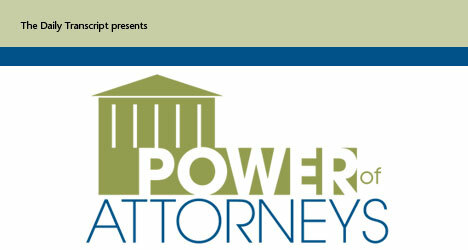 Lawyers Club of San Diego has developed into a leading bar association in San Diego County due to its leadership, community involvement and unique programming opportunities. Madonna, A-Rod and Balthazar Getty all have one thing in common: marriages that are heading to divorce (and possibly divorce court). No one likes to think that their marriage might end in divorce, and many worry that a prenuptial agreement may jinx a marriage before it starts. But the reality is that 33 percent of first marriages and 50 percent of second and third marriages end in divorce. Given these statistics, a prenuptial agreement may be a necessary precaution should the unthinkable happen. I have always had a profound respect for our legal system. During my 32 years working as an attorney and a judge, my respect for the institution has grown. In part, my admiration has deepened as I have come to appreciate how many people serving in our legal system -- judges, attorneys, court clerks -- work so hard to ensure the system remains an objective and independent forum for the resolution of disputes. It is not only fair rules and procedures that are required, but it also necessary to have people with the highest integrity to ensure those rules are implemented so that a fair and just decision is reached. Although most of the decisions affect only the parties involved in the particular transaction or litigation, some profoundly impact public policies and attitudes. But whether the consequence of the decision is limited to a few or to society as a whole, our most important obligation remains to continue to provide a fair and impartial forum for the resolution of disputes. Are you asking your outside counsel the right questions? You are considering new outside counsel and you've asked all of your usual questions about credentials, experience and representative clients. Are there any other questions you should be asking? SACRAMENTO, Calif. -- A majority of California voters oppose a ballot initiative to ban gay marriage, though they are evenly split on the practice itself, according to a poll released last Wednesday. Sloshing through the murky water, barely able to see inches before your face in the dark of the night. Something went terribly wrong with the tropical excursion, so lovely in that brochure. No maps. No direction. The guide set the course, required its traverse, then was nowhere to be found. "Green" advertising is everywhere today. Walk the aisles of a local supermarket or turn on the television, and messages that a product is "environmentally friendly," "earth smart," or just plain "green" abound. Today's marketplace, if judged by these labels, is better for the environment than ever before. But what do these labels really mean, and how do we know if they are true? In legal circles, one of the most damning insults you can hurl at judges is to call them "results- oriented." San Diego Mayor Jerry Sanders said poor legal advice from City Attorney Michael Aguirre led to a recent judge's ruling that the city must stop moving forward with its outsourcing plan and go back to the bargaining table with city unions. Sheppard, Mullin, Richter & Hampton LLP recently launched a video game industry group. The interdisciplinary team includes a core group of 20 attorneys from among the firm's 11 offices and most practice groups, including intellectual property, entertainment and media, business trial, corporate and labor and employment. The state Supreme Court recently affirmed the illegality of non-compete agreements in California, even if they have a narrow restraint provision, overruling the Ninth Circuit Court of Appeals. Noted constitutional scholar Erwin Chemerinsky shared his thoughts Friday on two of this year's most high profile U.S. Supreme Court decisions, as well as how the presidential election could shape the future of the high court.